Op-ed: As the big winners, we’ll have a problem with the Democrats in the future. We can see it in their eyes, in their reactions, in the media’s attitude. If they win the next elections, they’ll erase the Trump legacy just like he erased the Obama legacy. They’ll take revenge. The State of Israel won the lottery. Prime Minister Benjamin Netanyahu picked the right numbers. 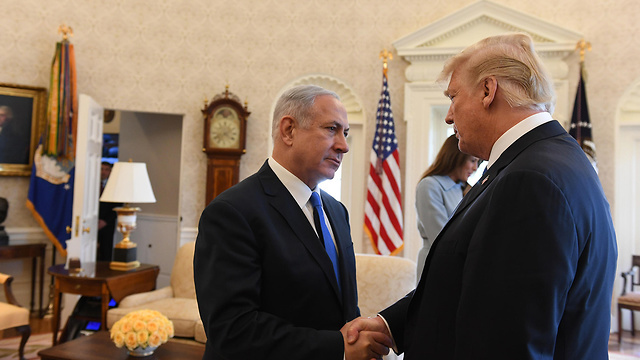 After years in which Israel had no control of the international arena and was forced to maneuver between an impossible American initiative and an illogical European initiative, something changed.US President Donald Trump’s arrival at the White House was more dramatic than any other event in the Middle East in the past few decades. America is back to being a regional player—despite its contradictory statements—and all of the things going on around us are the counterreaction: The embassies moving to Jerusalem, the Russian declaration on limiting the Iranian presence in Syria, and mainly putting the Israeli-Palestinian conflict into the right proportions. Last week, I participated in three meetings with American political tourists. Israel is filled with students, journalists, professors, human rights activists, believers and others who arrive to “see the news” with their own eyes. Anyone walking around Jerusalem these days could find them on every corner. Israel is an interesting story in every possible discipline. We have a developed technology and exact sciences here, archaeology and history under every building, theology in every corner, an interesting economy that is worth studying, innovative water desalination projects, philosophy of human nature, and of course countless angles on national and religious conflicts. Most of those who come here actually belong to the more liberal audience. They see Trump as a mystery and see his connection with us as a cause for concern. It’s hard to say they are wrong about the mystery. Trump is a strange person. I wouldn’t want him as Israel’s leader, but I’m very happy he’s in the White House. Like others, I was wrong too. I was convinced Trump would do the opposite of what he said he would do. Every time he spoke about his “ultimate deal” for the Middle East, I was convinced he would clash with us at some point. Every declaration or action was accompanied by the great fear of the “price tag” on the day after. Today, I’m no longer convinced of anything, apart from the fact that Trump shook the international conventions and benefitted the world. Thanks to his insanity and late night tweets, something positive is happening in the North Korean arena, a country which played a critical role in Syria’s nuclearization attempt. 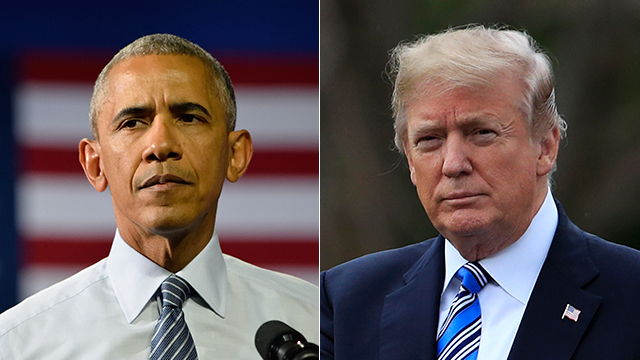 Thanks to erasing the Obama legacy, Trump nullified the problematic agreement with Iran. Thanks to his attitude towards Israel, we can understand for the first time how biased the attitude was until now. Thanks to Trump’s allegedly irrational diplomacy, we can understand how distorted his predecessor’s logic about foreign relations was. But all these insights make no difference, because we’re not the focus here. We just won the lottery, we’re not the lottery enterprise. There are winners who receive the money, become millionaires overnight, but understand that there is a risk. They take a deep breath, carefully plan their moves, seek advice, and then invest anonymously. And there are winners who receive the money, show it to everyone, spend it and go crazy.Statistics say the chance of winning a large sum again is very small. The same applies to the case of Trump as a prize. Liberal Americans hate him and see him as the source of all evil in the world, and the Democratic Party is radicalizing its views. In our context, it’s already alarming. If his moves vis-à-vis North Korea or Iran succeed, the attitude towards him will likely change. In the meantime, they’re there. As the big winners, this means we’ll have a problem with the Democrats on the day after. We can see it in their eyes, in their reactions, in the media’s attitude. If they win the next elections, they’ll erase the Trump legacy just like he erased the Obama legacy. They’ll take revenge. It’s not us, it’s them; the American polarization psychology. The basic and perhaps only piece of advice when it comes to a large sum of money in such a win is investment diversification. This entry was posted on June 3, 2018 at 7:14 AM and is filed under Uncategorized. You can subscribe via RSS 2.0 feed to this post's comments. You can skip to the end and leave a response. Pinging is currently not allowed. The Holocaust is not yet history, and it should never be. The problem with the Democrats was in the shoes already as it seemed Trump won´t won the elections. The Democratic party decided to catter to the muslim voters in the US since they are in numbers crush a bigger vote. i have some considerable difficulty imagining the democrats reversing the recognition of Jerusalem as Israel’s capital, or the placement of the US Embassy in Jerusalem. THOSE, are, “facts on the ground”. Of course, given the filthy leftist radicalization of the democrat party, those jew hater dogs just might be willing to pay the price for launching such a despicable attack upon Israel.